The nineteenth century, and particularly the Victorian years, saw enormous advances in medicine. New procedures were developed, standards of cleanliness improved and for the first time pain relief was possible with the development and use of anaesthetics. Progress, however, did not come cheaply. Reputations were made but, equally, reputations were lost. For every group that argued for progress, there was another group to argue against it. On 7 April 1853 Queen Victoria was delivered of a son, Prince Leopold. During the birth, she was anaesthetised with chloroform by Dr John Snow. * “The inhalation lasted fifty-three minutes. The chloroform was given by on a handkerchief, in fifteen minim doses.”** Four years later, in 1857, John Snow was in attendance again and again employed chloroform in the delivery, this time, of Princess Beatrice. Intense astonishment … has been excited throughout the profession by the rumour that her Majesty during her last labour was placed under the influence of chloroform, an agent which has unquestionably caused instantaneous death in a considerable number of cases. 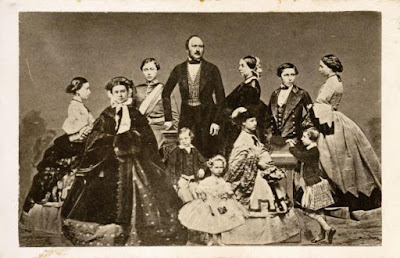 … we could not imagine that any one had incurred the awful responsibility of advising the administration of chloroform to her Majesty during a perfectly natural labour with a seventh child. The debate continued and seems to have accelerated after the Queen gave birth to her seventh child. The all-male medical profession engaged in rather convoluted arguments to justify the pain of childbirth. To offer succour to women in labour was, some argued, “meddling or interference” and could not be defended. If labour be undeniably a physiologic process for the birth of human offspring, and if anatomy and physiology have proved that this process cannot be obtained without fulfilling the Divine enunciation, ‘that in sorrow and pain woman should bring forth’, the whole of this being notwithstanding perfectly consistent with the health of mother and child,--what doctrine can be an excuse for mischievous meddling with such a miracle of contrivance? Some of the criticism was undeniable valid. There had been deaths with the use of chloroform. Indeed, its popularity was such as to lead to inexperienced, and even those totally untrained in medical procedures, to act as anaesthetists. Beyond that, even those with a degree of medical training were not necessarily conversant with the best means of administering chloroform and in some cases may have been dangerously enthusiastic in its use. John Snow, however, was meticulous and careful. He was concerned about regulating the dosage and even developed a mask for proper administration of chloroform although this was not used with Victoria. Instead he employed the “open-drop” method where the chloroform was dropped onto a cloth covering the face of the Queen. ...did not awake till after the placenta was removed, and then spoke of having “enjoyed a very comfortable sleep.” She was not in any degree aware that the child was born; and when, in a few minutes, it was brought in . . . I was a matter of no small difficulty to persuade the astonished and delighted mother that the child … was really her own infant. **A minim is 1/60th of a fluid dram or about the equal of one drop. ***Craniotomy involved the reduction in the size of the unborn child’s head and was used where labour was obstructed. It was used in cases of foetal death and made vaginal delivery possible rather than run the far greater risk of performing a caesarean section before the advent of anaesthetics.